Yin and Yang is an ancient Chinese idea to classify all things of the universe into darkness and light with opposite properties. Yin and Yang mean negative force and positive force, respectively. It is said that changes such as creation and destruction of all things are caused by these two forces. 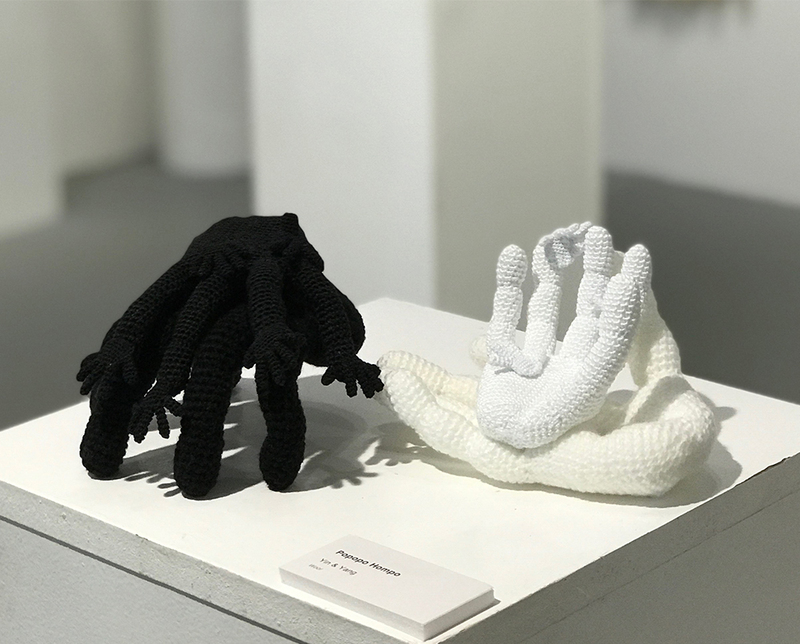 In the Monster Exhibition in Shibuya, Tokyo, I expressed the disaster striking the world with the motif of hands and faces. And this time, I represented Yin and Yang by only the shape of hands.